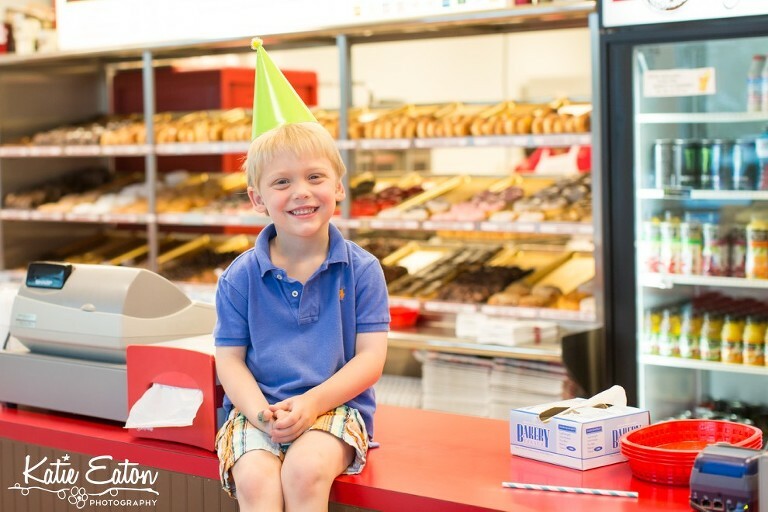 Tyler’s birthday breakfast was supposed to be a simple affair — two of his best little friends, party hats, some donut holes and chocolate milk … but the owner asked the boys if they wanted a tour and to make their own donuts! Tyler might have been in heaven — he got to pick the filling he wanted to use (after smelling them all, of course). Then he got to actually put the filling in two donuts — and so did his friends. And then they all got to eat them (and the donut holes we had already ordered).